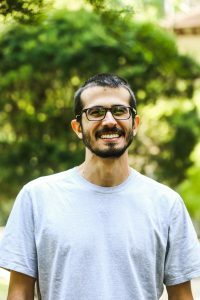 David Lapola is a research scientist at the Center for Meteorological and Climatic Research Applied to Agriculture of the University of Campinas – UNICAMP in Brazil. His scientific backgrounds include a BSc in Ecology (São Paulo State University), MSc in Meteorology (Brazil’s National Institute for Space Research) and a PhD in Earth System Modeling (Max Planck Institute for Meteorology). David Lapola has experience in the modeling of terrestrial ecosystems and land-use change. His current research interests are focused at the impacts of future climate change on the socio-economic-environmental systems of tropical forests. David Lapola coordinates the AmazonFACE (Free-Air CO2 Enrichment experiment in the Amazon forest) research program that aims to assess the impacts of elevated atmospheric CO2 on the resilience of the Amazon forest. He and his group are also devoted to the development of a plant trait-based vegetation model that can represent the intricate and yet largely unknown functional diversity of tropical terrestrial ecosystems.